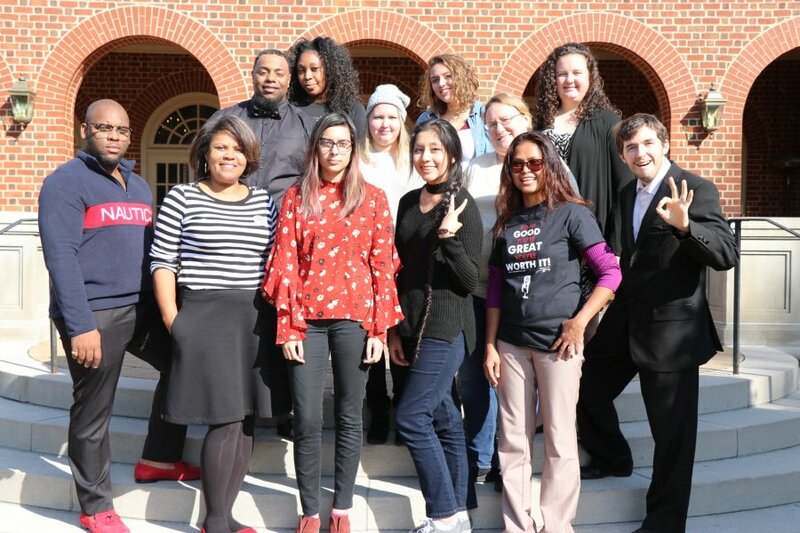 Thomas Nelson Student Government Association (SGA) leaders and advisors joined more than 400 students from across Virginia’s Community Colleges at the 2018 Student Leadership Conference. The Nov. 16-18 event took place in Virginia Beach at the Founders Inn and Spa. Titled “Unleash Your Super Leader,” this year's conference gave students an opportunity to learn different leadership styles, various leadership strategies to use in college and beyond, ice breakers, team-building activities and more. Thomas Nelson’s team of 14 included advisors and 12 students. Among those was SGA President Elizabeth “Liz” Axberg, who looked forward to the conference as a way to get motivated, inspired and network with other VCCS student leaders. In addition to hearing from nationally-known leadership coaches and influencers throughout the week, participants also volunteered with Rise Against Hunger, an international hunger relief organization that distributes food to pack 10,000 meals for those in need. Keep up with SGA by following them on Instagram @thomasnelsonsga. Review images and videos from their weekend there as well as information regarding upcoming events.